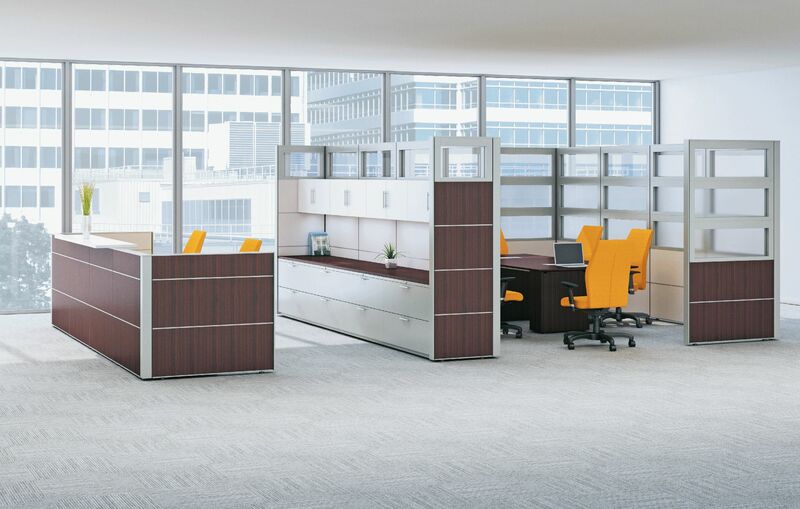 For Nearly 20 years, AIS has focused on offering our customers the greatest value based products in the marketplace while setting high standards. 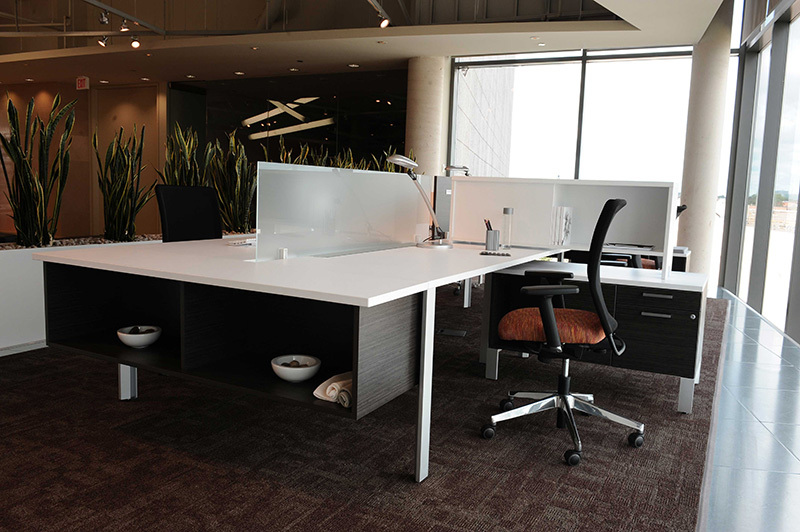 AIS focuses on environmental sustainability while still manufacturing at a low cost. 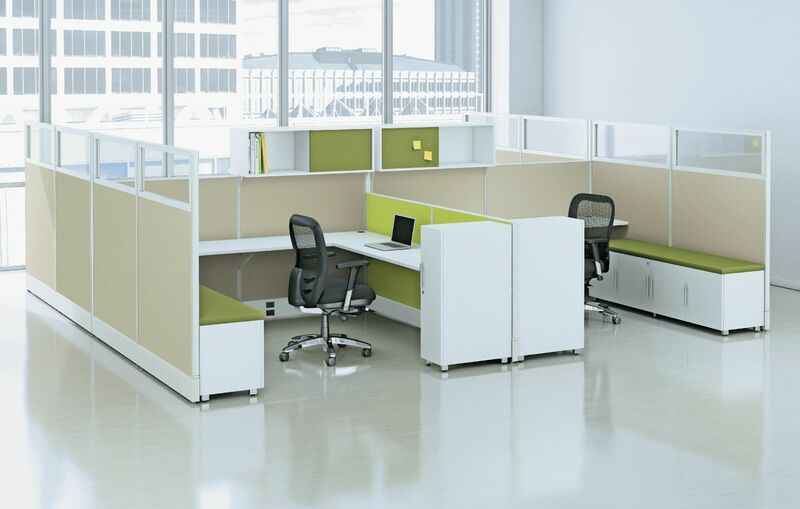 All AIS systems are GREENGUARD certified and contain 40-55% recycled materials by weight. 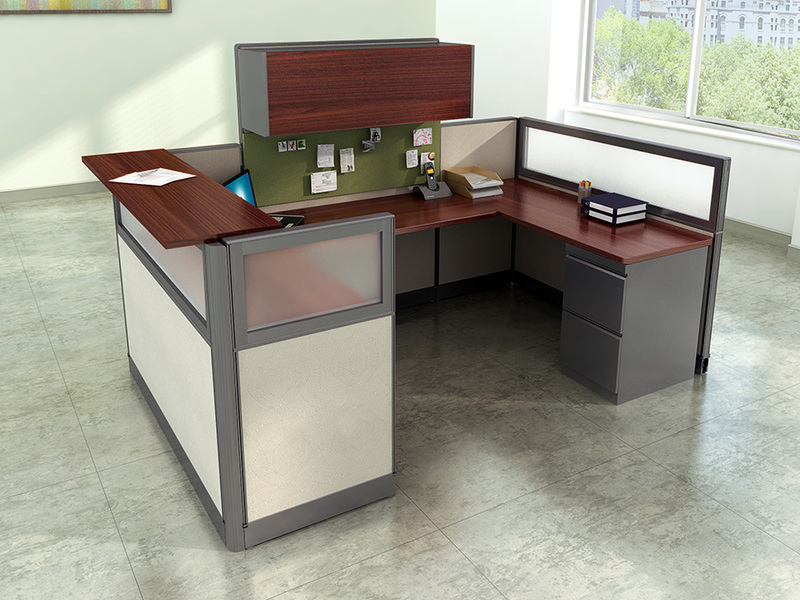 In addition to panels, Compile features complementary storage, electrical components and accessories designed specifically for the Compile System. 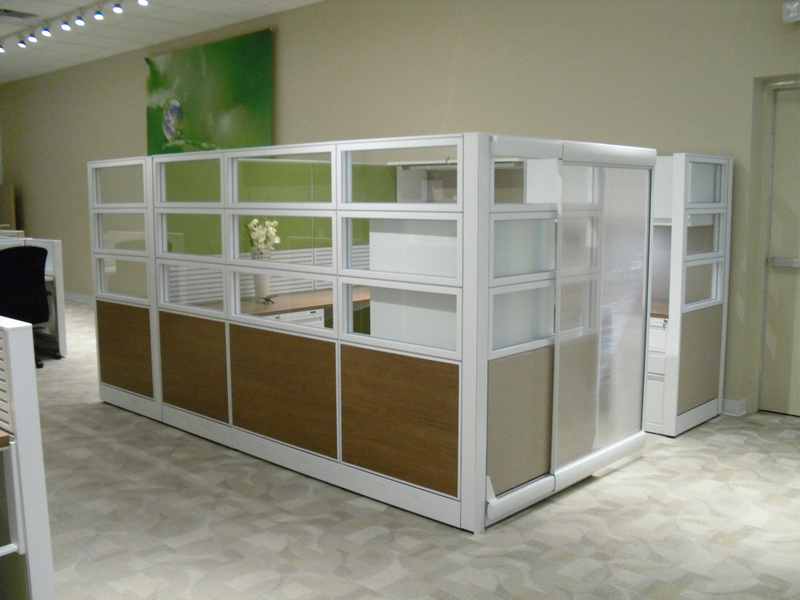 Compile Panels are manufactured with aluminum raceway covers that can be specified with electrical knockouts or without electrical knockouts for a cleaner appearance. 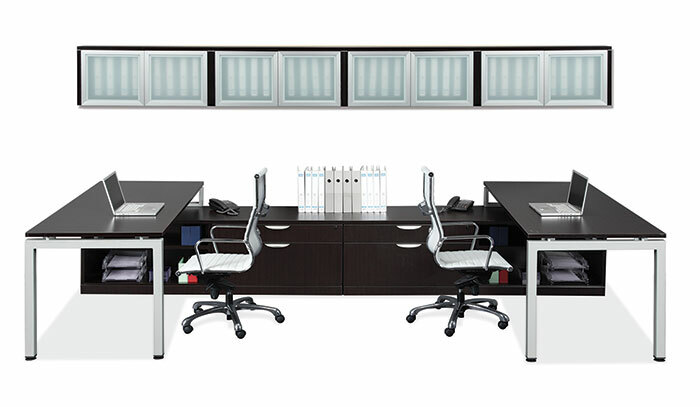 Best of all, Compile Panel configurations are easily assembled in the field with minimal tools. 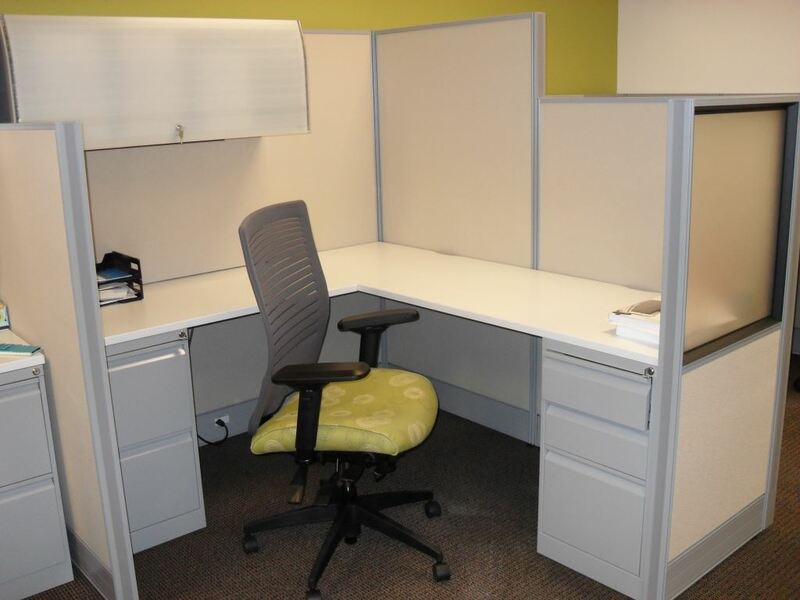 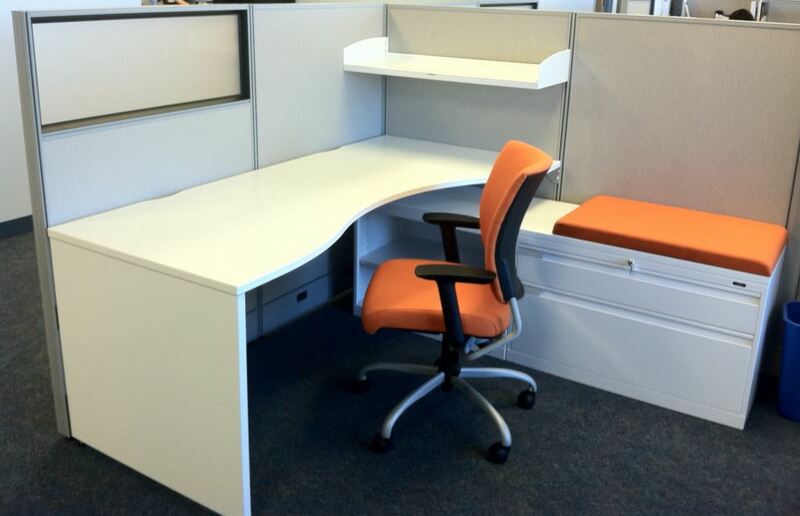 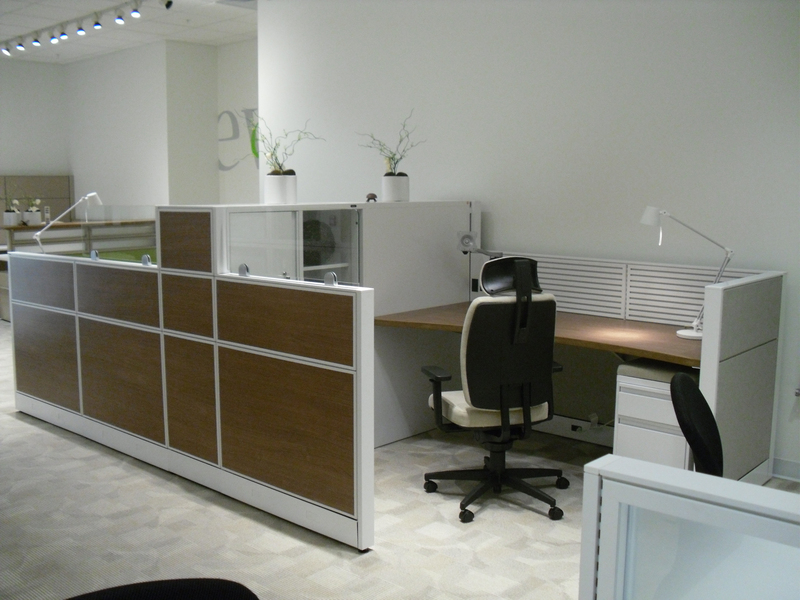 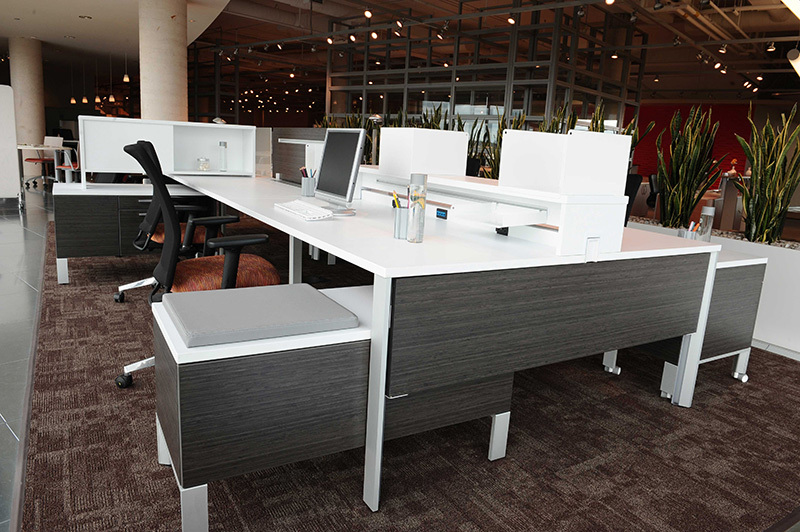 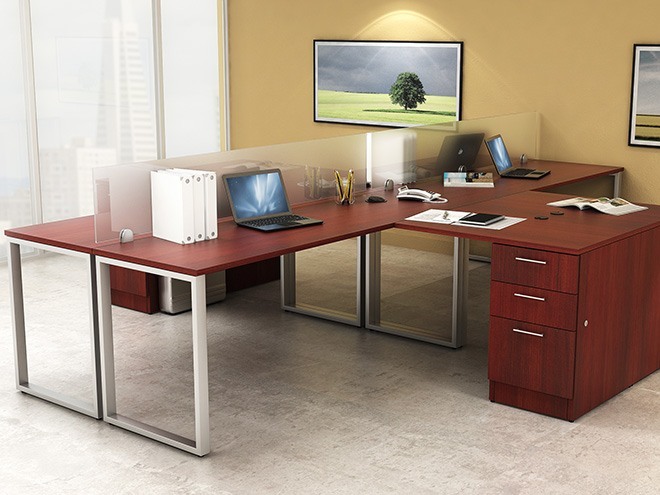 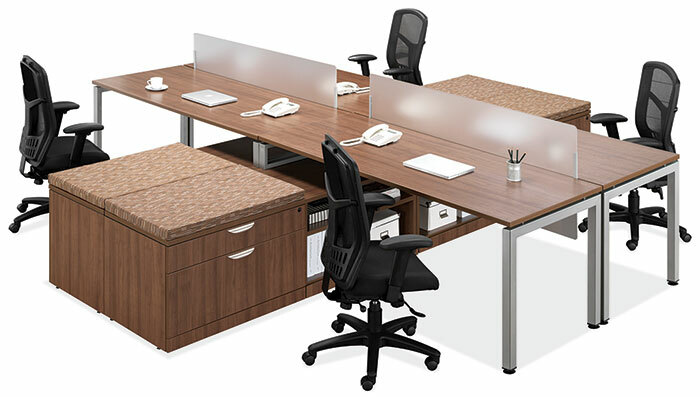 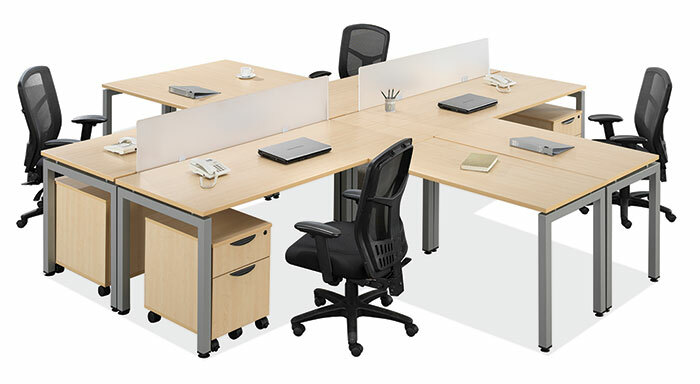 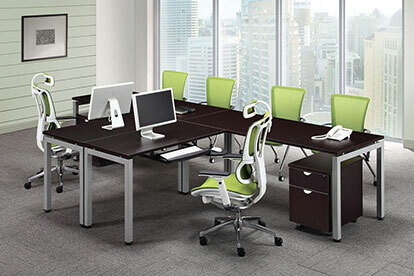 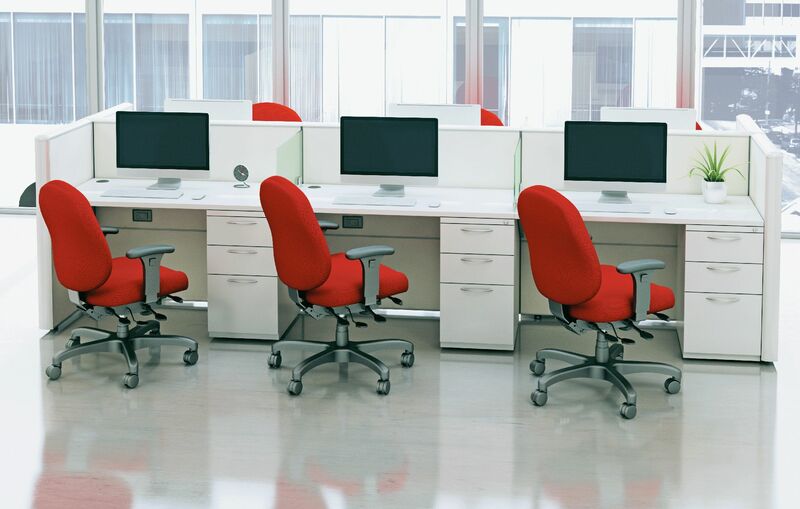 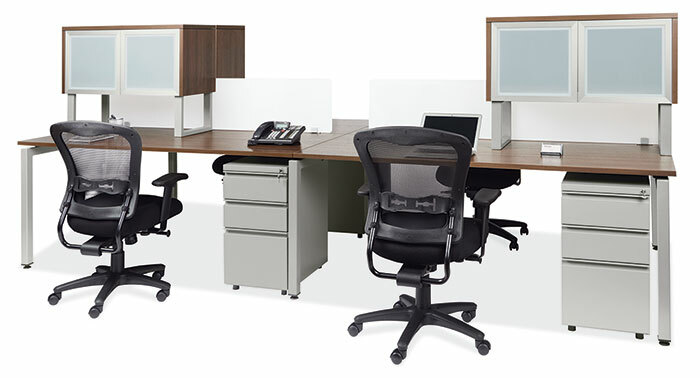 Bench desking system include heavy duty steel frame in silver and your choice of 5 finishes. 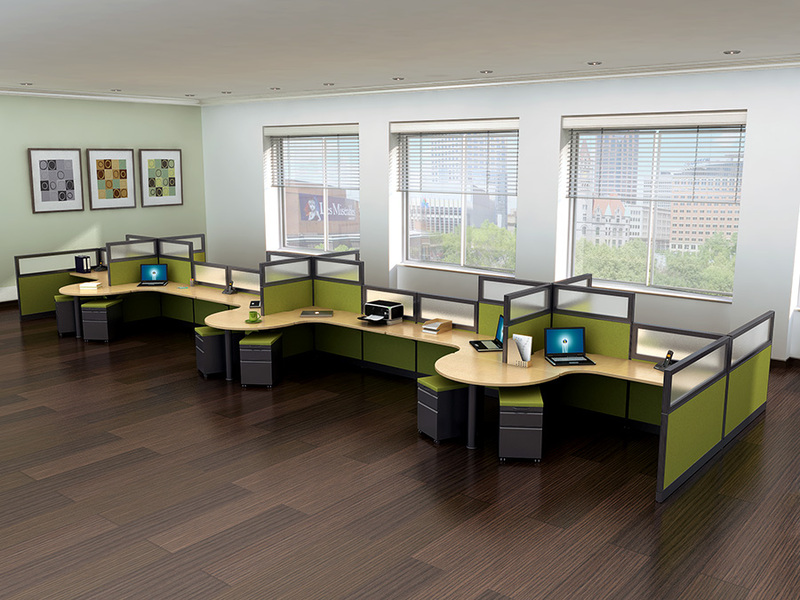 Green Guard Certified. 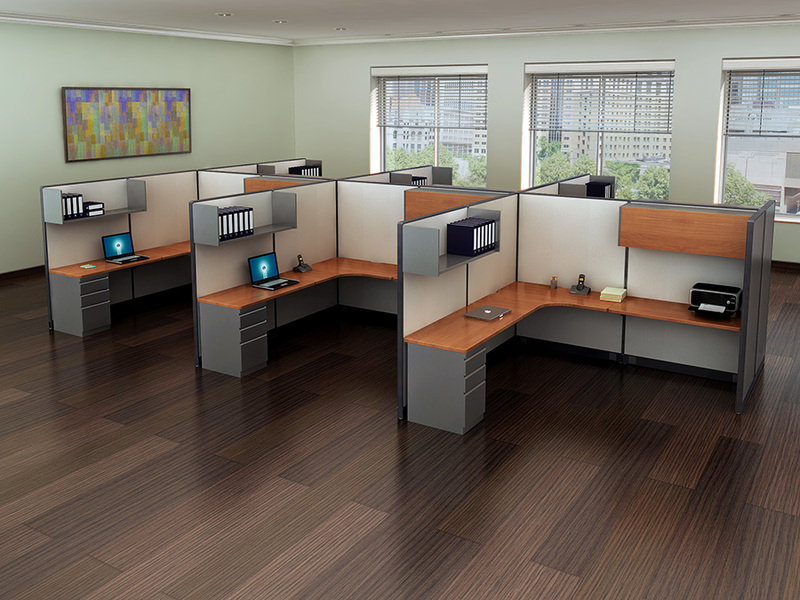 Finishes: Espresso, Honey, Mahogany, Cherry and Modern Walnut. 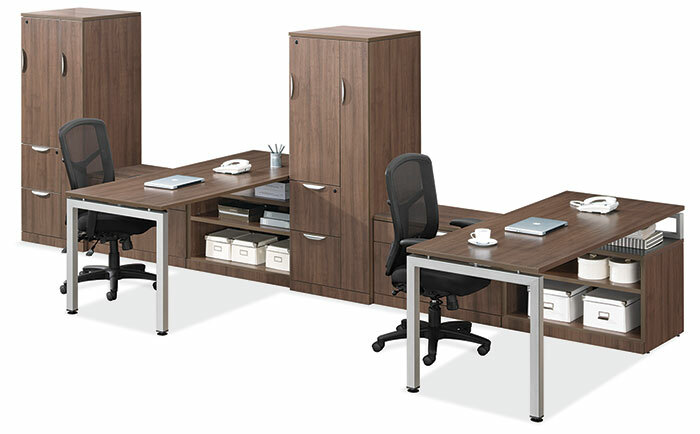 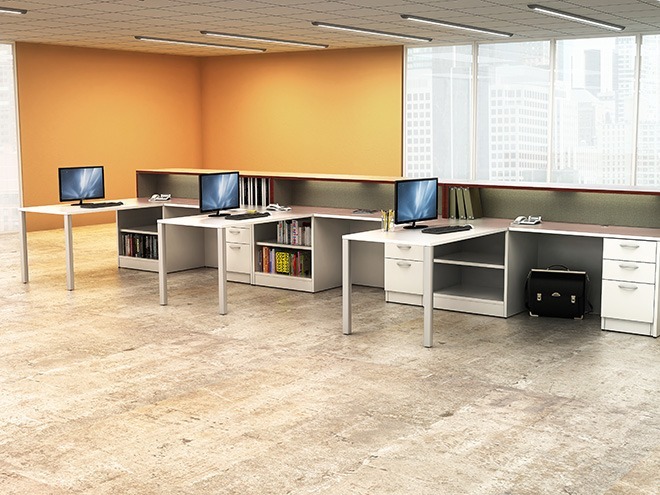 Engage Desking provides an open, clean and modern work environment and is an excellent solution for teaming arrangements, telemarketing stations and any work environment requiring more collaboration among peers. 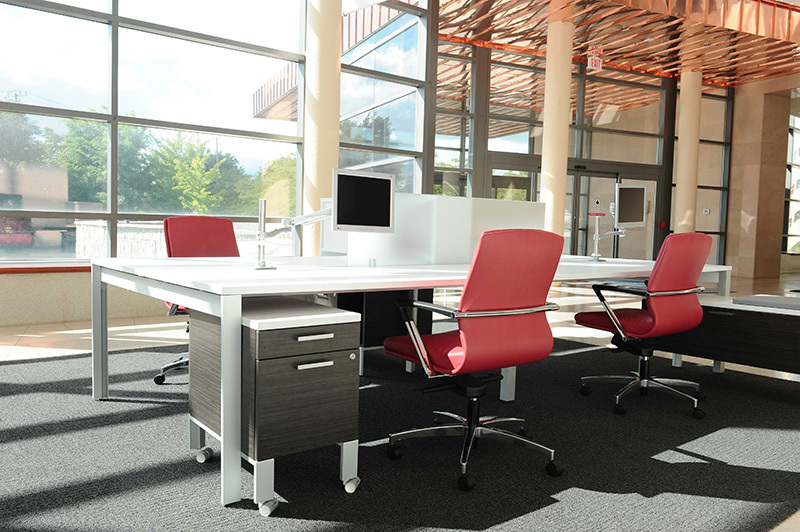 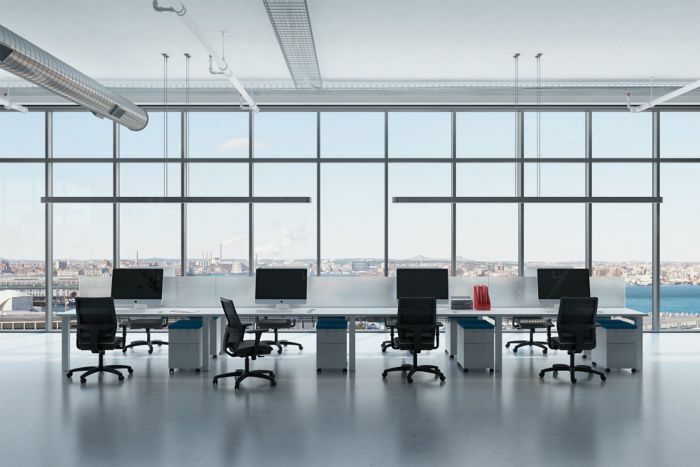 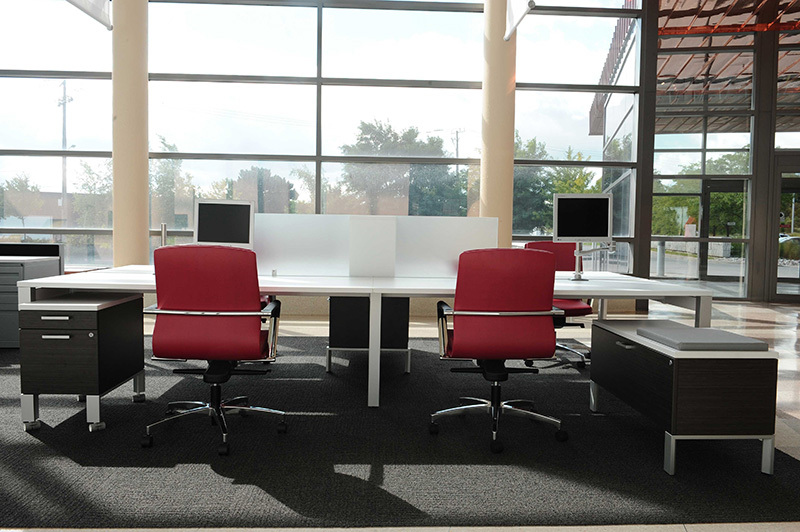 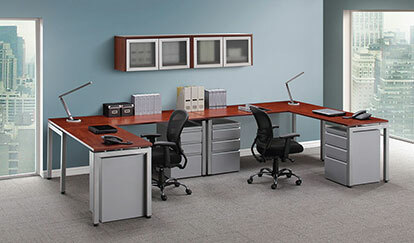 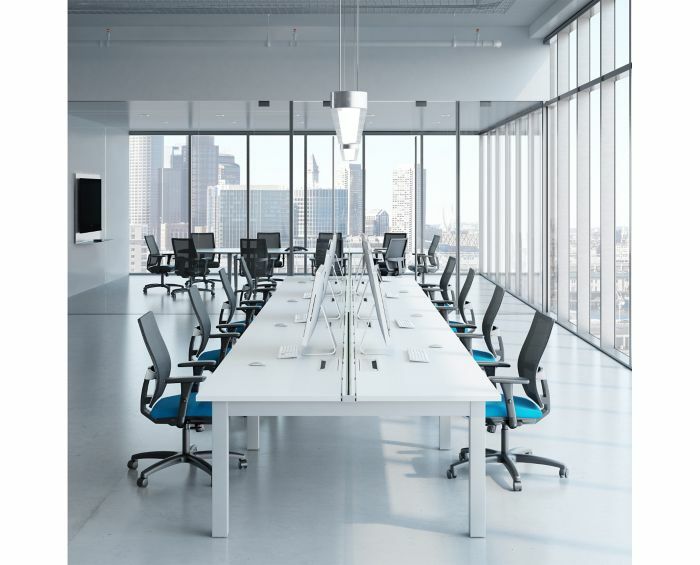 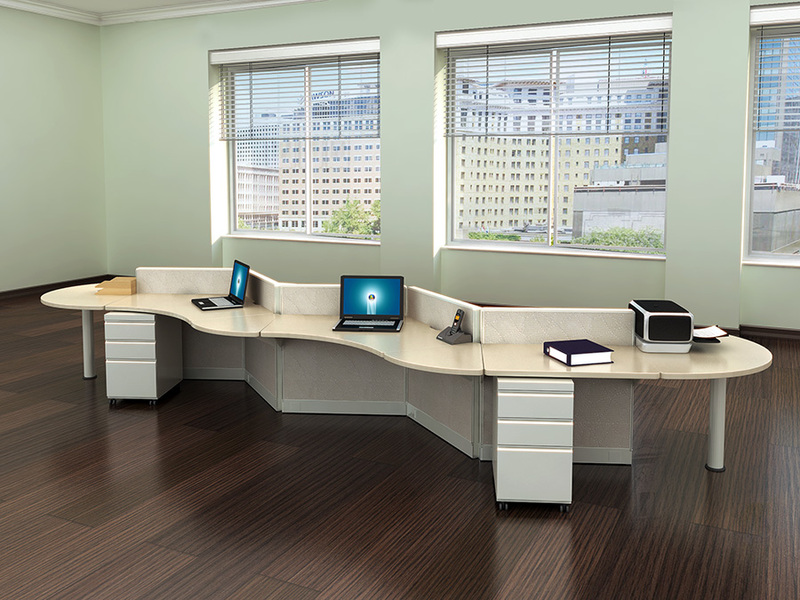 The contemporary style and practical design perfectly suits the needs of today’s ever changing business environment. 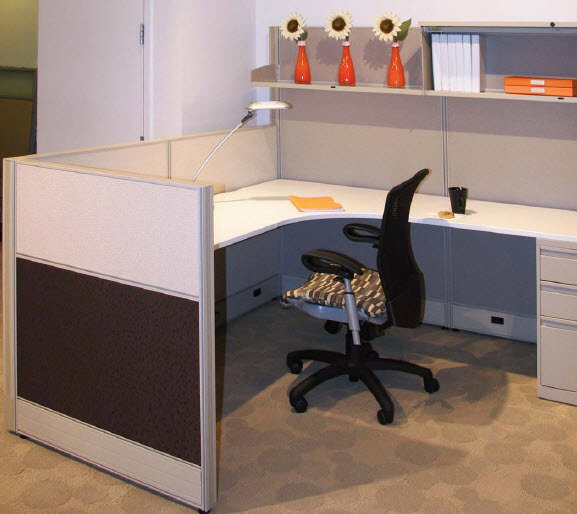 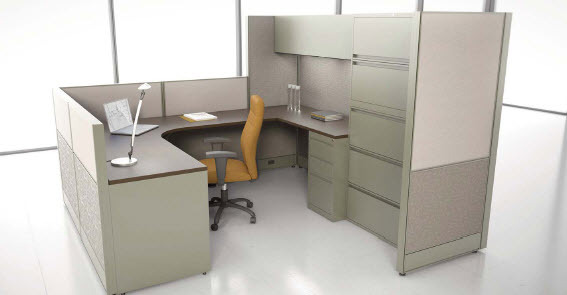 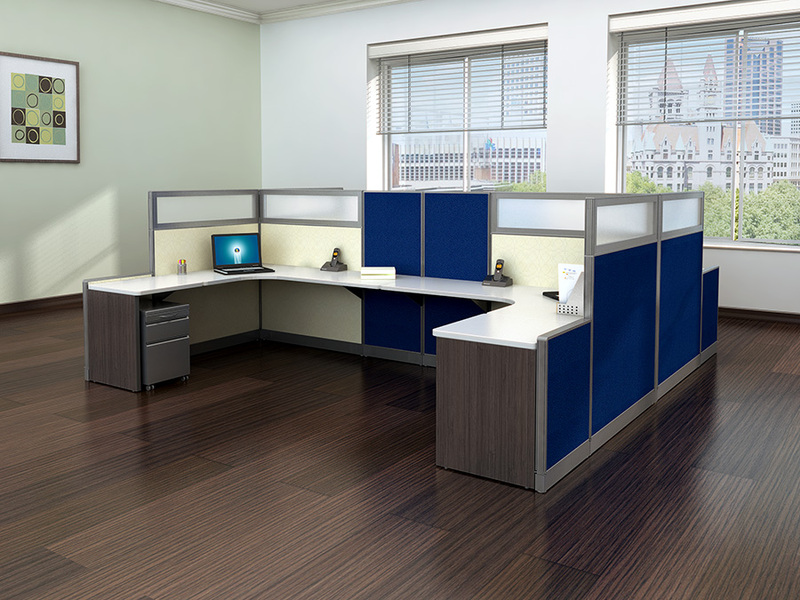 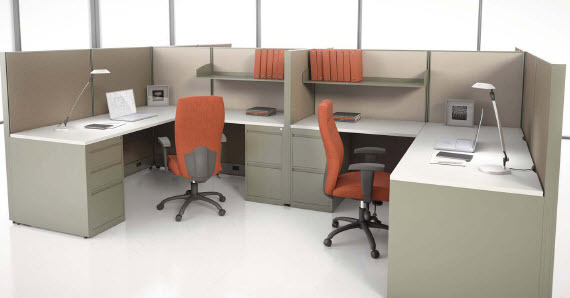 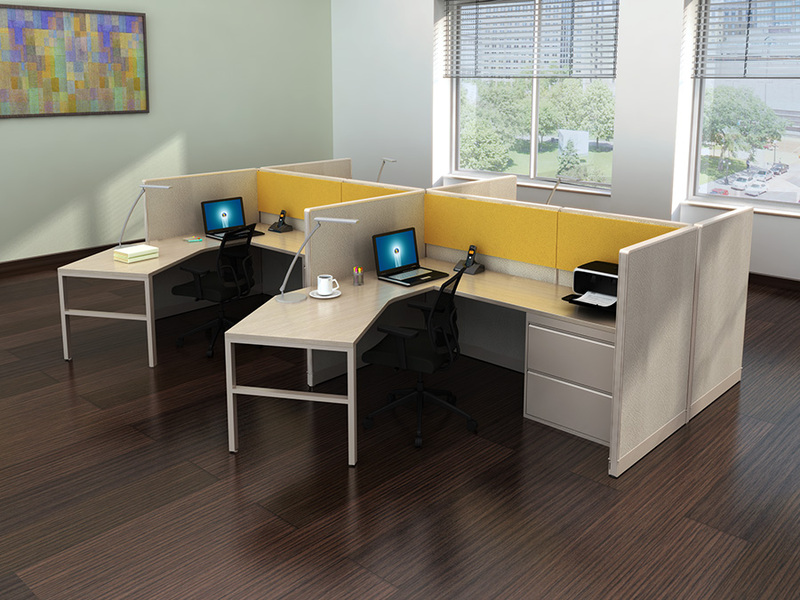 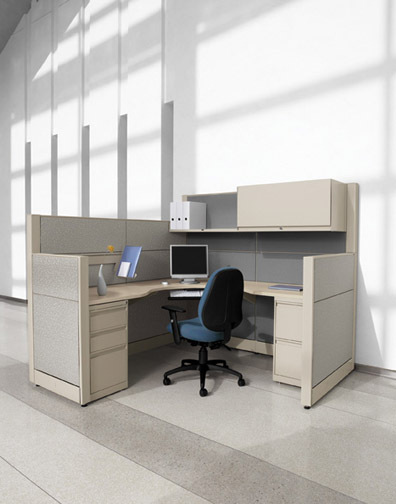 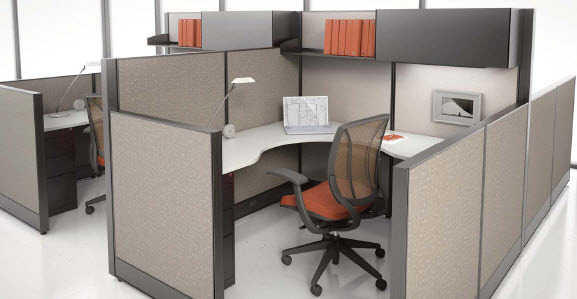 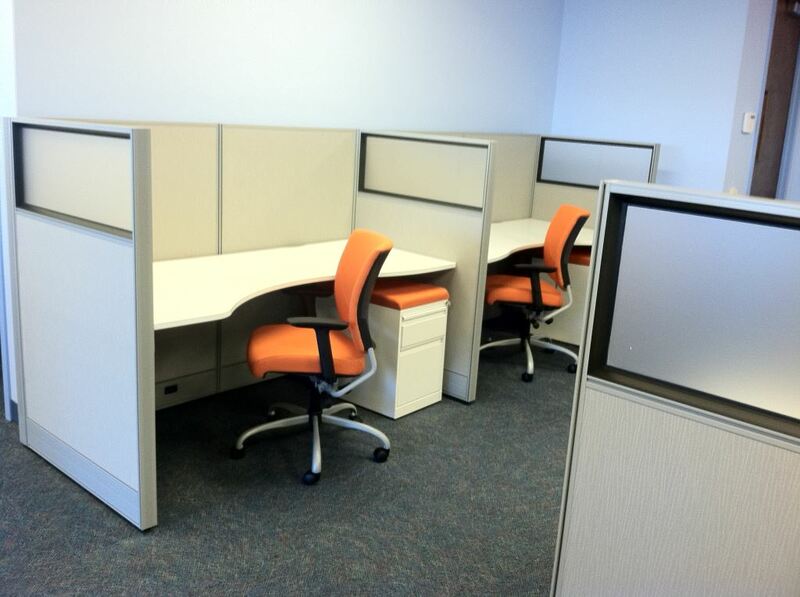 Modular design ensures simple and vast configuration possibilities. 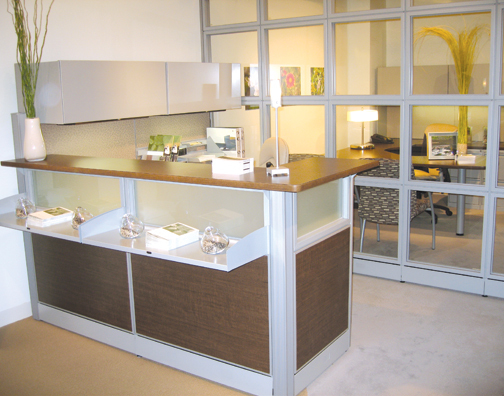 Engage offers exceptional value to discerning customers and is backed by a limited lifetime warranty. 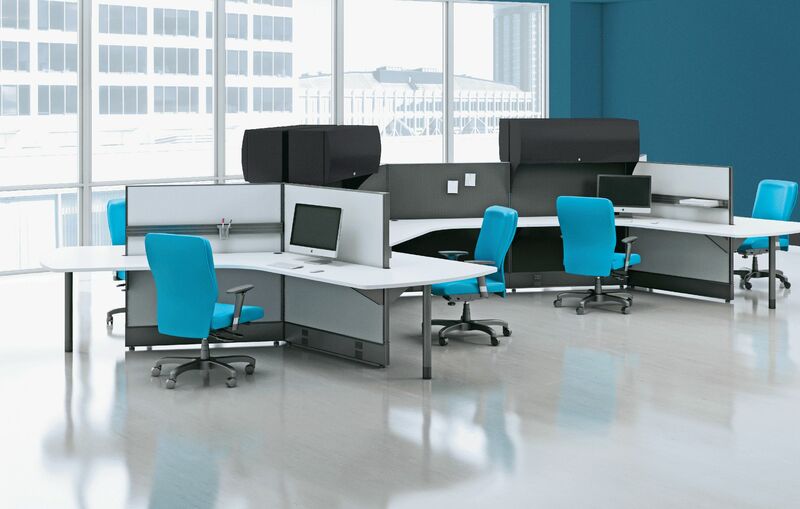 Evolve is designed for the way people work today, with the latest technical and design features plus excellent performance. 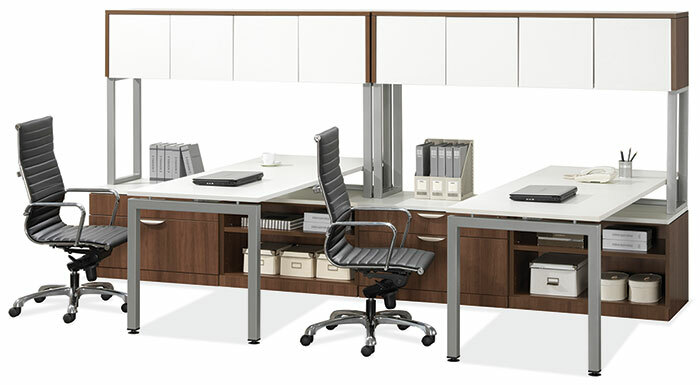 -Plug and play connectivity at the work surface. 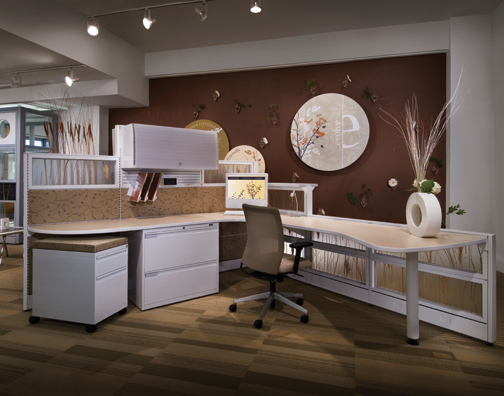 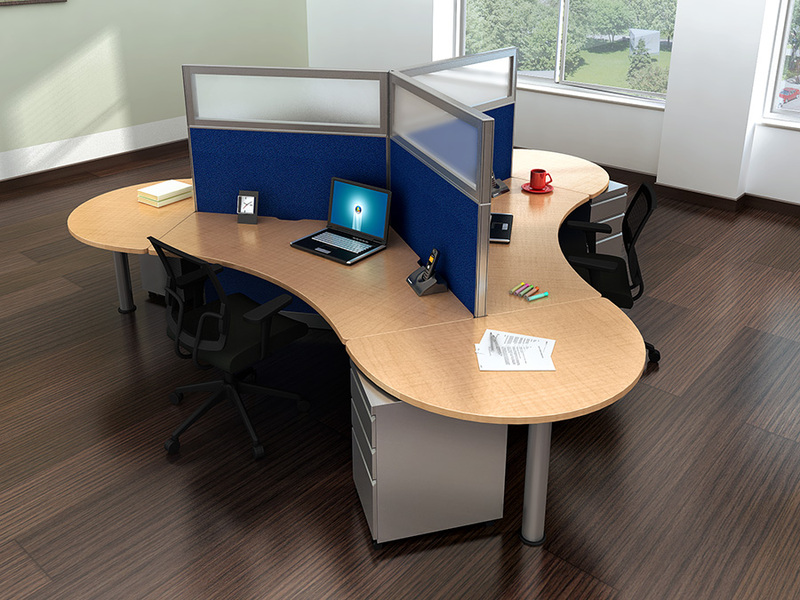 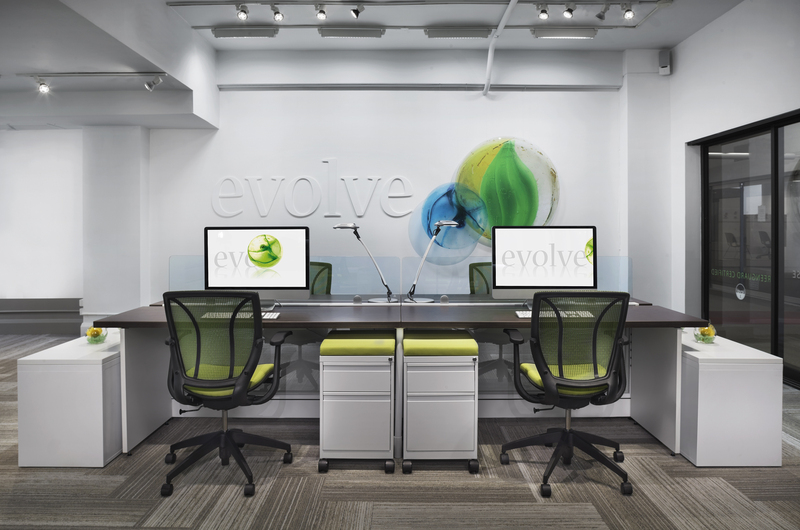 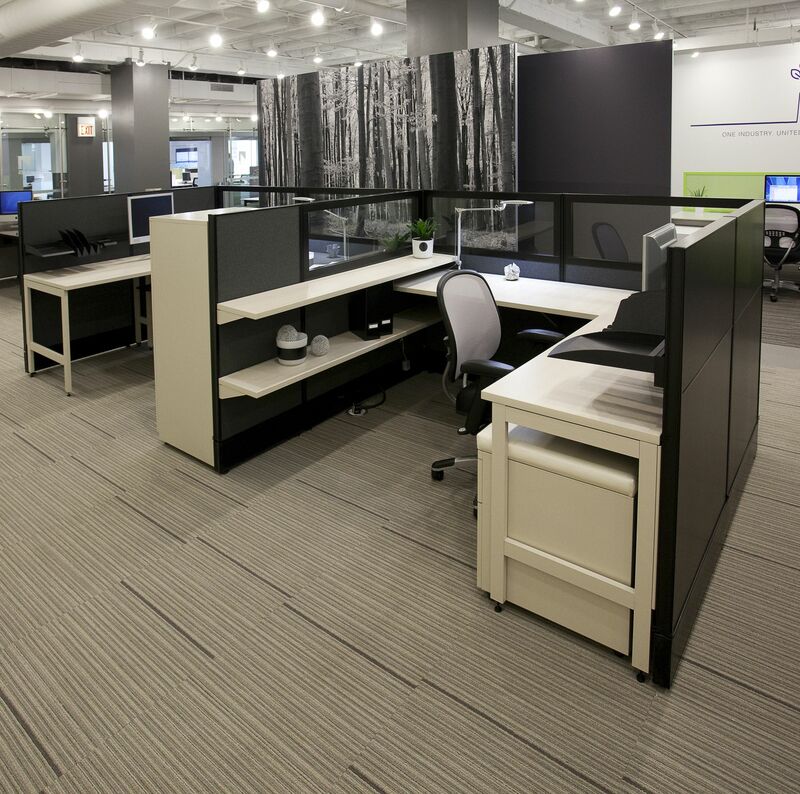 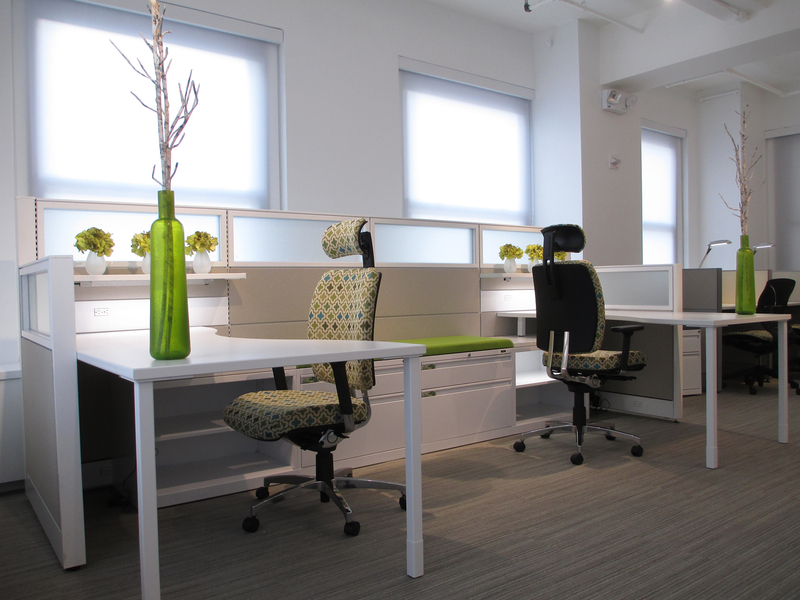 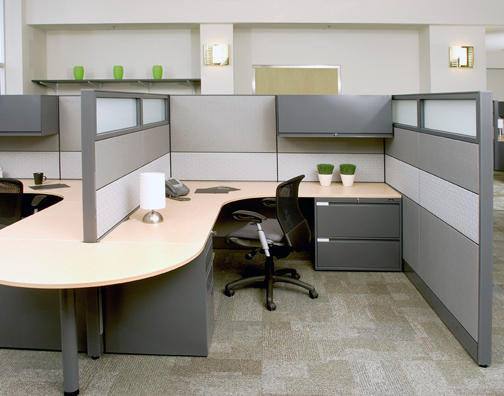 Evolve is continually committed to creating office solutions with environmental responsibility. 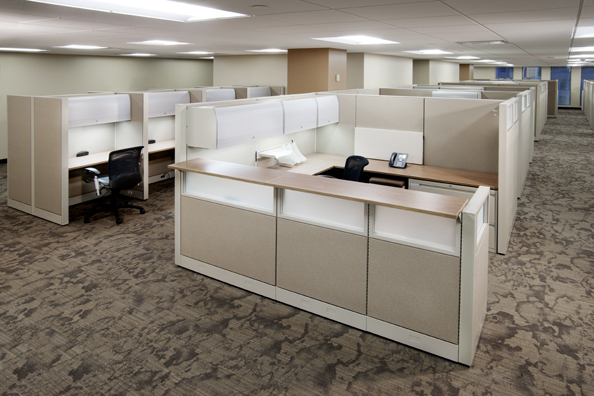 Evolve Exceeds standards for low emitting products for the indoor environment. 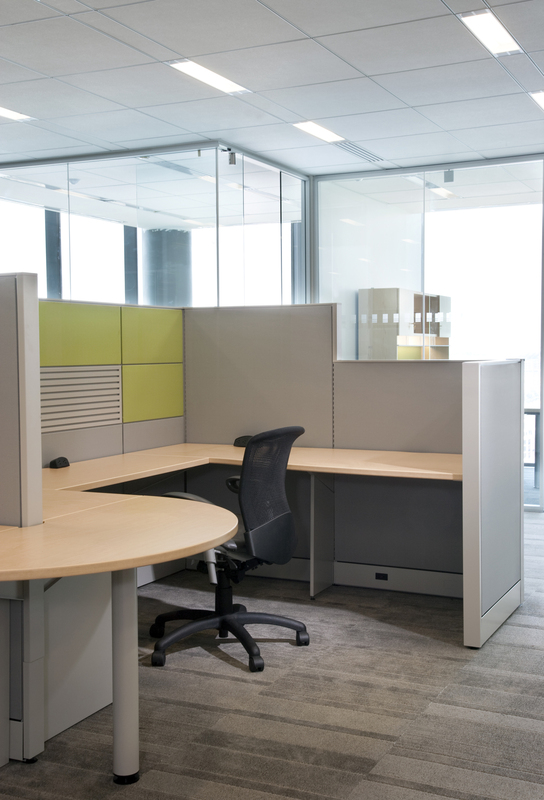 The Evolve panel is comprised of up to 82% recycled content and is also 100% recyclable therefore eliminating the need to send any components to landfill.